Everything we do at Denos Family Dental has its origins in preventive dentistry. Regular check ups and cleanings should be performed every six months. It is a proven fact that maintaining regular dental checkups is the best and cheapest way to care for your dental health. 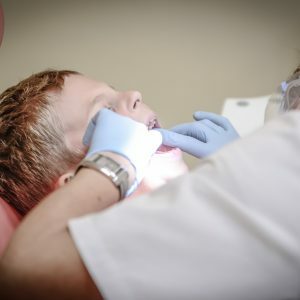 Dr. Denos and his team of hygienists carefully check each patient for damaged or decayed teeth. The intent is to find problems early—while they are small, inexpensive and easy to fix. Dr. Denos also takes the time to educate his patients in ways that they can effectively care for their dental health and avoid problems before they arise. Come in for a check up!